Early snow on trees at Großer Feldberg mountain, about a 30 minute drive north of Frankfurt, Nov.12. Snow on brown leaves at Großer Feldberg mountain near Frankfurt, Nov.12. 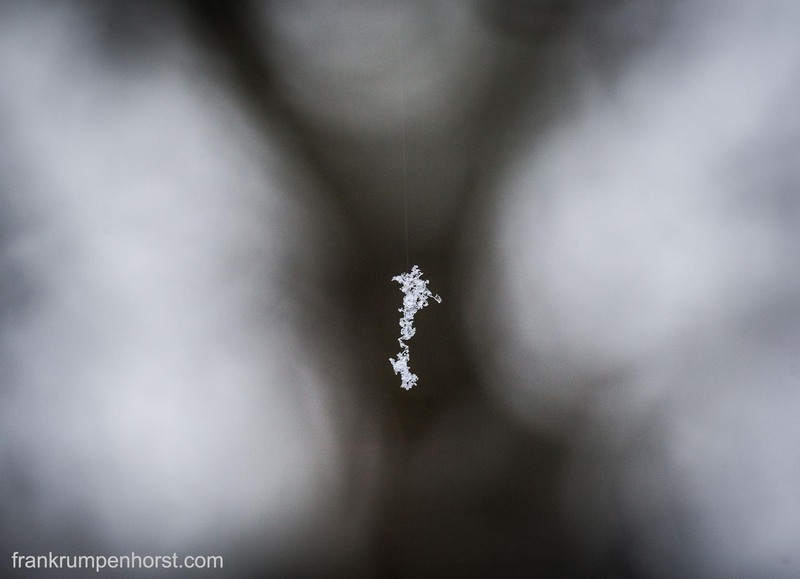 Snow crystals dangle on the thread of a cobweb in a garden after snow fell in Frankfurt, Jan.20. 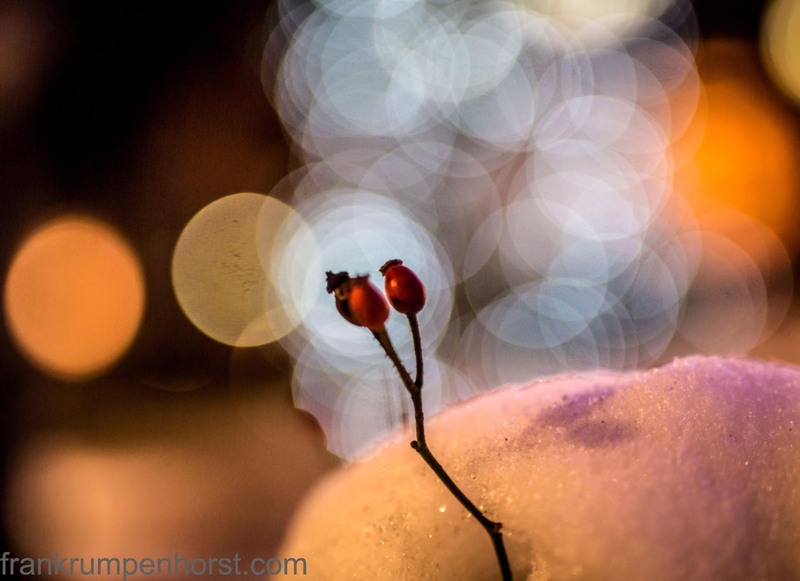 A twig with rosebuds from a snow-covered plant, lightened by street lamps and a christmas tree (in background) in Frankfurt, Dec.29.